The quickest way to get started with survey appearance design is to use a preset theme. If your account has custom survey themes available either through your own custom themes or those of your Surveyi buddies, options will be available for selecting those, otherwise only preset themes will be available to apply to your survey. To apply a preset theme just click on the theme picture, or click the Apply button for custom themes. It will then automatically be applied to your survey. Titles – choose where to show survey and page titles on the browser or the survey, and on which pages to show them. You can also choose the title alignment here (left, centre right). All elements have the option to set the width as fixed, or as a percentage of the browser size. If they are set as a percentage of the browser size then as the user increases the size of the browser window, the element will resize to match the browser window size dynamically. All elements within the survey page are positioned relatively to the top and left of the page, and you can specify this distance in the positioning from left and positioning from top property. · Previous – saves the responses on the page and navigates to the previous survey page. · Next – saves the responses on the page and navigates to the next survey page. · Save – saves the progress of the survey at the point the user has reached so that if they return to their survey link at a later stage it will populate the page with their responses and load at the right page. · Exit – sends the user to the custom finish link specified in the response group used for access. This option is only available. Buttons can be shown at the top of the survey page or the bottom or both depending on your selections. · Show page numbering – show a number at the bottom of each page. · Show question numbering – show a sequential number at the start of each question in the survey. Note that this option does not work if the page has a random question order. · Restart question numbering for each page – if checked, the numbering for each page in your survey will begin at 1. · Mark required questions with (*) – if the question is marked as required in the validation options it will be indicated on the survey. If the colour you would like doesn’t exist in the options provided you can type in any colour for which you have the colour code into the colour textbox. 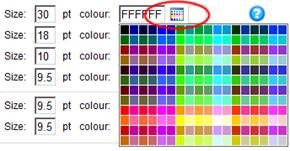 The colour picker can be used to select the background for the survey, survey page and question. Borders can be specified in the appropriate sections. In addition, each question within the question list can have a solid filled colour, border only, or selected borders according to the options available in the show box around each question list. If the question box is filled, a shaded text can be applied to the box to add a depth effect by enabling Apply shading to question box. These options can be applied in under the Style tab. All other elements are filled so the transparency will work. Note that transparency may not work properly on older web browsers and the results may be unpredictable. Additionally transparency may behave differently if you are planning to use survey embedding to publish the survey on your own website. · Centre – the image will appear once only and will be centred in the middle of the page. · Left – the image will appear left aligned and will not be repeated. · Right – the image will appear right aligned and will not be repeated. · Repeat vertically – the image will be repeated from the top to the bottom of the page. · Repeat horizontally – the image will be repeated from the left to the right of the page. To clear an image you have uploaded click Clear Survey Image or Clear Background Image. Show Responses – Response summaries are a way of showing your survey users a summary of existing responses for your survey. You can display them underneath the question (by selecting it on the question designer) or on the survey finish page (by selecting it in finish page settings for any response group). Response summaries can show all responses for the survey, or just responses for the current response group accessed by the survey user. · Default response summary title (for if the question doesn’t have a specific title set in question designer). · Width as a percentage of the survey so it can expand or contract with the user browser, or fixed in pixels. · Colours of every element. Logo – Here you can upload your company logo, or any image you like which will appear at the top of the survey. To upload your logo click the Browse button and navigate to the file on your computer. Surveyi supports jpg, gif, and png image formats. When you are ready click Upload and when the upload is complete the image will appear in the survey preview below. You will need to ensure that the logo size is correct before uploading. Select from the options available whether you would like the logo to appear on the first page of your survey only or all pages of your survey. You can control separately whether the logo features on survey start, finish and offline pages via the Response Group Options page since each response group can be controlled separately. To clear an uploaded logo, click the Clear Logo button. Header/Footer – This is an advanced option for those who know how to program in HTML. Using this option you can place custom HTML formatting at the top and the bottom of your surveys. You can include any HTML tags you like seeing as it is your content. You could for example add a series of links in the style of your corporate home page. Custom Pages are extra survey pages which are separate from your survey questions but follow the same style. They can be set for before your survey begins, after it ends, or if you have disabled it. 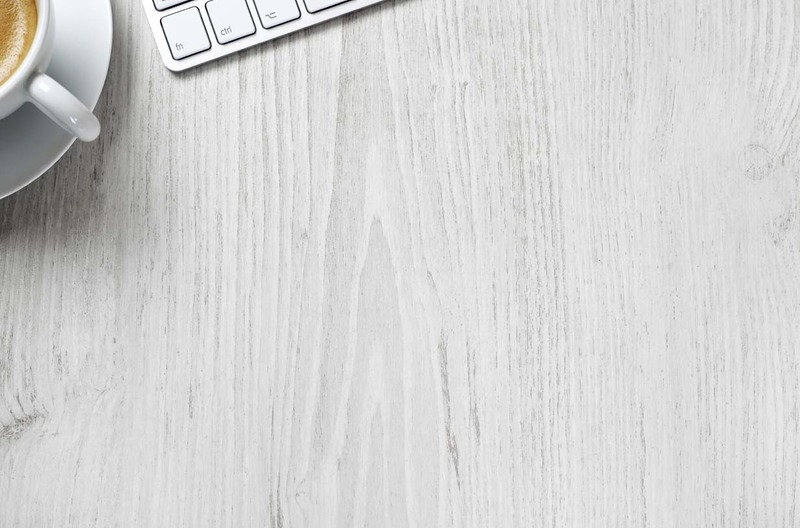 Each contains your own custom message for your users, and finish pages also control where users are directed to after completing your survey. Start Page enabled - Ticked or not to indicate whether the start page is enabled for this response group. If the start page is not enabled then your survey users will be taken straight to your survey first question page when they access your survey. Start button text - This is the text which appears on the start button of your survey. Show logo - If you have a logo uploaded to your survey, the logo will be shown on the start page also if this is enabled. Show survey title - Your survey display title will be shown on the start page if this is enabled. Note that this setting overrides what is set in the Surveyi question designer regarding show survey titles on every page, since that setting doesn’t include start, finish or offline pages. Start page title - Each page in your survey can have a page title which will appear in the position defined in the Surveyi Appearance Designer. If you would like a page title for your start page it can be entered here. Put a border around the text - In the Surveyi Appearance Designer you can specify a border which appears around the text of each question. If you would like to apply that styling to the text of your start page message, tick this option. Page Content - This is the message which you would like your users to see when your start page appears. By default the content is edited in the HTML editor allowing changing of fonts and insertion of hyperlinks and other HTML formatting. If you would like to edit the HTML code directly click HTML Code or to change back click HTML Editor. All updates are reflected in the preview window if you click Update Preview. To save your changes click the Save button at the bottom of the screen. Redirect URL - This setting is effective regardless of whether the Finish Page is enabled or not. It defines the internet location the survey user will be redirected to when the survey is completed. If the Finish Page is disabled, the survey user will be redirected without being shown a finish page when they click finish on the last page of questions. If the Finish Page is enabled the redirect URL will be used when users click on the Finish button within the Finish Page. Finish page enabled - Ticked or not to indicate whether the finish page is enabled for this response group. If the Finish Page is not enabled then your survey users will be taken straight to the redirect URL specified on this page. Finish button text - This is the text which appears on the Finish Button on this page. There must also be a redirect URL defined for the Finish Button to appear. Show logo - If you have a logo uploaded to your survey, the logo will be shown on the Finish Page also, if this is enabled. Show survey title - Your survey display title will be shown on the Finish Page if this is enabled. Note that this setting overrides what is set in the Surveyi question designer regarding show survey titles on every page, since that setting doesn’t include start, finish or offline pages. 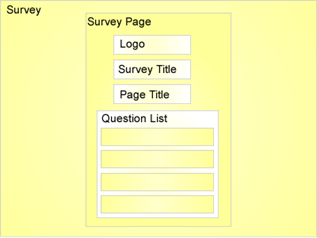 Finish Page title - Each page in your survey can have a page title which will appear in the position defined in the Surveyi Appearance Designer. If you would like a page title for your Finish Page it can be entered here. Put a border around the text - In the Surveyi Appearance Designer you can specify a border which appears around the text of each question. Tick this if you would like to apply that styling to the text of your Finish Page message. Question Response Summary -Response summaries show a graphical summary of responses so far for existing questions (for quantifiable response questions only such as multiple choice). If you have response summaries enabled for specific questions you can choose in the question designer whether you want to show the response summary on the question, and on the Finish Page. If you choose the Finish Page and enable the Finish Page response summary then it will appear for the survey user. Options here are to enable or disable the response summary, an overall heading for the response summary box, and showing headings for individual questions. The style of the response summary box can be defined in the Surveyi Appearance Designer. Page Content - This is the message which you would like your users to see when your Finish Page appears. By default the content is edited in the HTML editor allowing changing of fonts and insertion of hyperlinks and other HTML formatting. If you would like to edit the HTML code directly click HTML Code or to change back click HTML Editor. Redirect URLThis setting is effective regardless of whether the offline page is enabled or not. It defines the internet location the survey user will be redirected to when they leave the offline page, or the offline page is not enabled. If the offline page is disabled then the survey user will be redirected without being shown the offline page. If the offline page is enabled the redirect URL will be used when the survey user clicks on the redirect button within the page. Show off-line page - Ticked or not to indicate whether the offline page is enabled for this response group. If the offline page is not enabled then your survey users will be taken straight to the redirect URL specified on this page. Redirect button text - This is the text which appears on the redirect button on this page. There must also be a redirect URL defined for the redirect button to appear. Show logo - If you have a logo uploaded to your survey, the logo will be shown on the offline page also if this is enabled. Show survey title - Your survey display title will be shown on the offline page if this is enabled. Note that this setting overrides what is set in the Surveyi question designer regarding show survey titles on every page, since that setting doesn’t include start, finish or offline pages. Offline page title - Each page in your survey can have a page title which will appear in the position defined in the Surveyi Appearance Designer. If you would like a page title for your offline page it can be entered here. Put a border around the text - In the Surveyi Appearance Designer you can specify a border which appears around the text of each question. If you would like to apply that styling to the text of your offline page message, tick this option. Page Content - This is the message which you would like your users to see when your offline page appears. By default the content is edited in the HTML editor allowing changing of fonts and insertion of hyperlinks and other HTML formatting. If you would like to edit the HTML code directly click HTML Code or to change back click HTML Editor.